Amidst all the franchises trying to get your attention over the last month it would be easy to understand if you forgot another Star Trek was also coming our way in the years ahead. 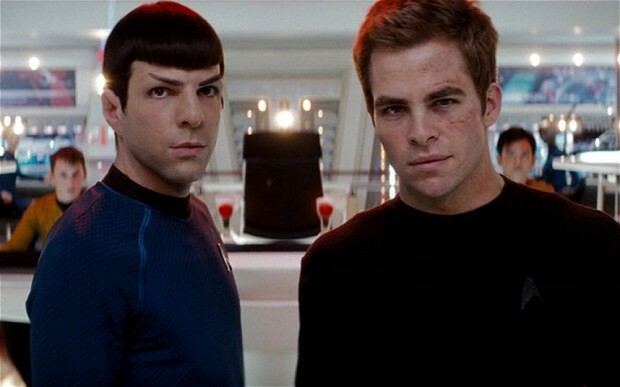 Star Trek 3, which will likely have a different name when it hits theaters, is scheduled for release in 2016. There is only one problem: Deadline claims director Roberto Orci has just left the project only months before production was set to begin. Orci was given Star Trek 3 after original director JJ Abrams landed this little indie project called Star Wars: Episode VII – The Force Awakens. Orci left Mighty Morphin Power Rangers to take the gig, and now it seems he won’t be doing either. Deadline does say he will still have a producing credit, but that doesn’t necessarily mean he’ll have any involvement moving forward. Don’t stress, Trekkies. Edgar Wright is rumored to be on the short list to replace Orci, and that possibility is enough to give us hope the Enterprise will take flight soon. Wright famously left Ant-Man earlier this year after spending close to a decade with the project, so this could be his opportunity to do another major franchise flick (not to mention work with Simon Pegg for the million time) with massive fanfare. The film needs to stay on schedule or close to it in order to keep its release, which is meant to coincide with the 50th anniversary of the original series, so we should have more information soon. Stay tuned.